I am delighted to be able to announce that Geoff McDonald has joined the mental health team at byrne·dean. As many will know, Geoff is a huge force of energy and change in the mental health world. Geoff’s background in teaching, HR, marketing, communications and sustainability is considerable. 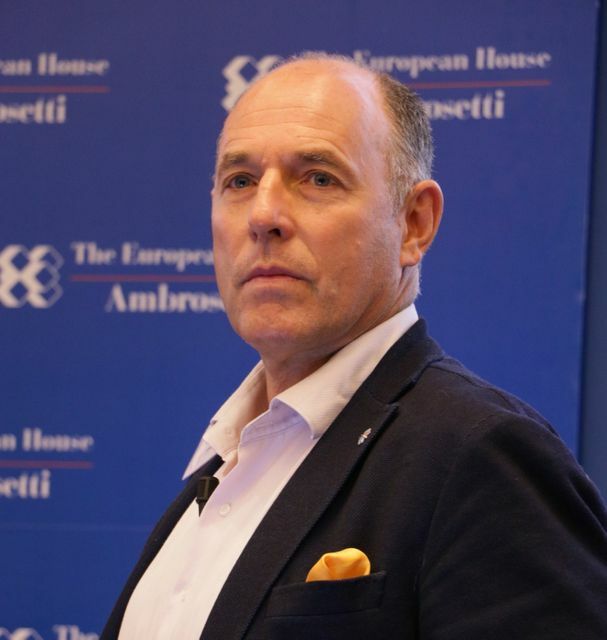 During his 25 years with Unilever (a global corporation with a turnover of £50 billion, 170,000 employees in 90 countries around the world), his experience has been truly global working across Africa Middle-East and Turkey, Australasia and Asia, Europe and the Americas. His HR experience has spanned leadership and talent development, organization change, capability development, with particular reference to marketing, and business transformation with purpose at its core. Early in his career he was responsible for graduate recruitment and development, talent, acquisitions and development across Unilever’s emerging markets. Under his leadership he developed Unilever’s global talent and leadership centre of expertise. More recently he has devoted his time, energy and effort to leading ground breaking work where the HR function has played a central role in transforming Unilever’s business model with purpose at its core. Today Geoff is a very much sought after speaker, inspiring and provoking organisations to put purpose and wellbeing at the centre of everything they do. His experience in Unilever, under the pupillage of Paul Polman, allows him to provide very practical insights and speak on how to go about truly embedding PURPOSE and address the taboo associated with wellbeing (particularly mental health) within a large global multi-national organisation. With this experience come some real learning on what may or may not work. He recently had the opportunity to engage with Pope Francis on how we create a more sustainable and inclusive economy through his work with the Global Foundation. He has spoken at Cambridge, Oxford, Bologna, Warwick Universities as well as corporate events across Australia, Europe, Japan, North America, Turkey and Eastern Europe. Geoff is a very active campaigner for breaking the stigma associated with Mental Health in the Corporate world and has participated in a number of BBC programs and campaigns regards this subject, as well as writing of articles for Huffington Post, FT and HR related journals. A couple of years ago he convened a meeting with David Cameron and CEOs from Footsie 100 Companies to address their role and agree actions to break stigma in the corporate world. He has also provided support to the Royal Foundation (William, Harry and Kate) in their mental health campaign. He was recently appointed as a Trustee of Family Links, a Charity promoting and educating parents and teachers to develop emotionally healthy children and young adults. He is also a trustee of the Global Campaign It’s a Penalty- combatting the exploitation of young children around the world. It is fantastic to have Geoff join our team. He will help with delivery of our training as well as continue his work to inspire the highest levels of organisations to engage with the mental health and wider wellbeing agenda. For more information about what we do and how we can help please look at our website – www.byrnedeanmentalhealth.com.